Circle fractions are integral to learning fractions. 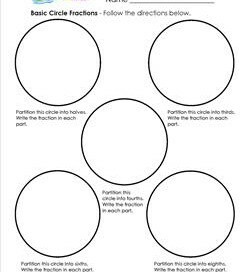 In this section you will find circle fraction models and circle fraction worksheets that introduce kids to the basics of circle fractions. 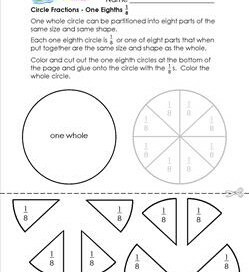 Each worksheet is a simple cut and glue for the fractions of 1/2, 1/3, 1/4, 1/6, and 1/8. Kids can color before cutting to personalize their circles. They can make them pizza pieces, wedges of fruit, a donut, a cookie or pieces of pie. 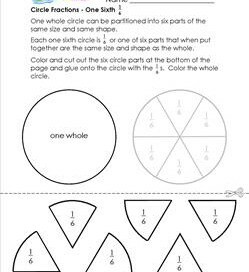 There are three pages of circle fraction models in color and black and white and six worksheets five of which are cut and glue. 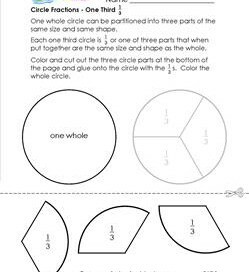 Please go to this page to choose from all the third grade fractions worksheets on this site. A page of circle fractions in plain Jane black and white. Great visual fraction models when working with circular objects. Circle fraction cut-outs that are meant to be lighter on the printer ink. Fits easily in a standard envelope for storage! Bright and cheery circle fraction cut-outs are a great visual fraction models for your fraction lessons with circular objects. 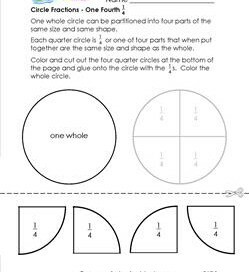 This is a simple hands on worksheet for the circle fraction of one half. Cut out the halves and glue in the circle. A visual fraction model with the circle fractions of one third that kids can put together themselves. A great cut and glue activity. 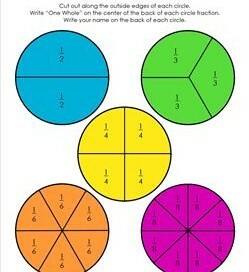 Kids can see how circle fractions are made by cutting and gluing these one fourth pieces into the circle. It’s a quick hands on activity. 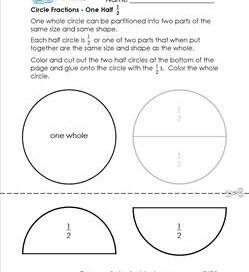 This is a great visual fraction model for the circle fractions of one sixth that kids can easily create themselves and use for later reference. 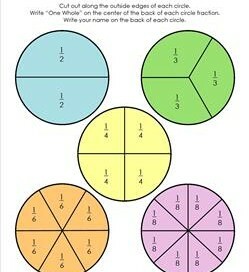 With eight pieces, these circle fractions for one eighth are like putting a puzzle together! Be sure all the fractions are right side up. 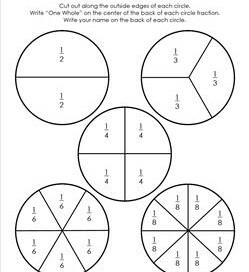 In this basic circle fractions worksheet, kids use their knowledge of how circle fractions are divided to create their own circle fractions for 1/2, 1/3, 1/4, 1/6, and 1/8.